Double Barrelled Pump Action Popping Fun x 2! Power Poppers are fun, Double Barrelled Power Poppers are even more fun, so a twin pack of Double Barrelled Power Poppers is double the fun! 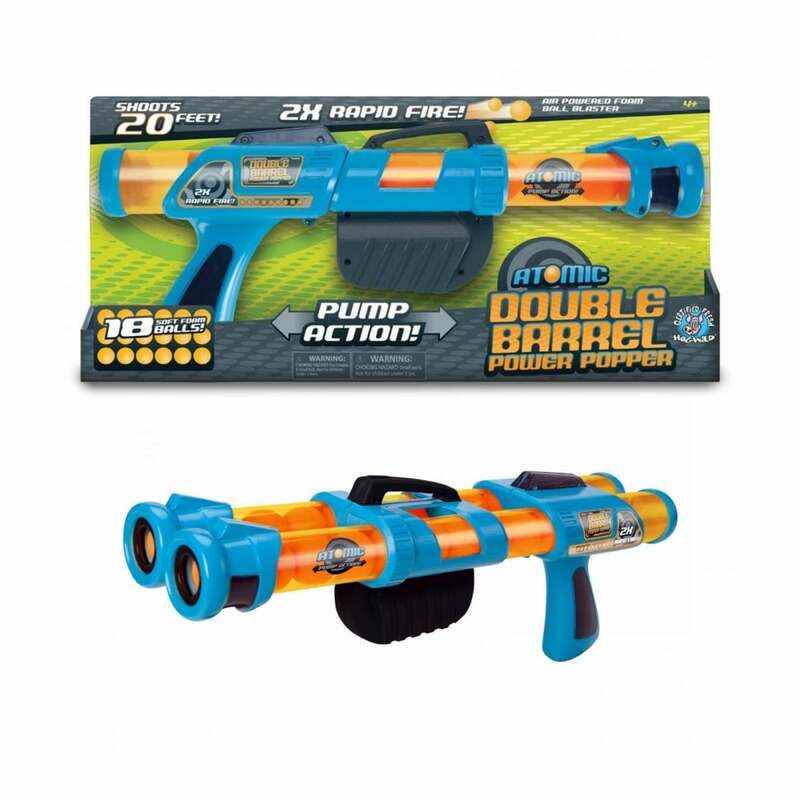 Each mighty pump action popper fires 18 soft foam balls from 2 chambers at the same time in rapid succession. The faster you pump - the faster the balls shoot and the further the balls go! The balls have a maximum range of 20 feet, and can be used indoors or outdoors. They are air powered and require no batteries - so the only time you have to stop is to reload! Suitable for ages 4 and over - Never aim at the eyes or head.